As November 11, 2018, the centennial anniversary of the end of the First World War, approaches, McGill, in conjunction with McGill Remembers and the Vimy Foundation plans to reimagine Memorial Hall, in recognition of the important contribution made by members of the McGill community in the service of their country. 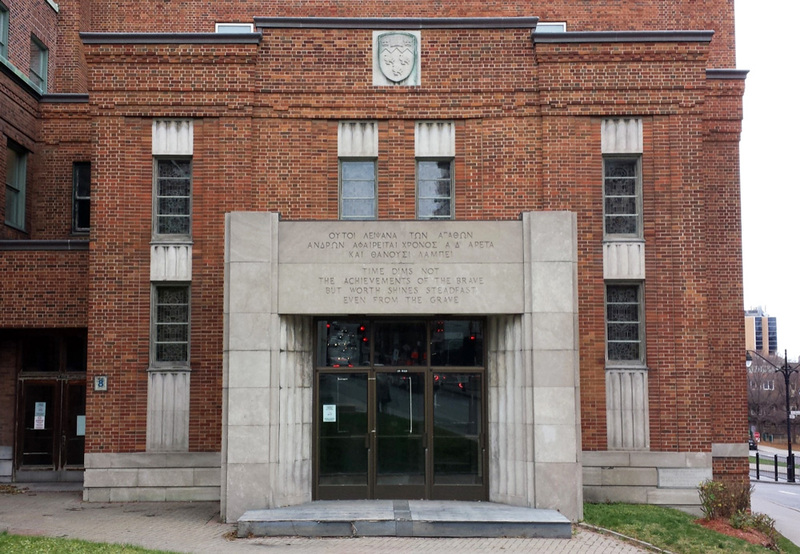 In 1939, the Sir Arthur Currie Memorial Gymnasium-Armoury opened on the north side of Pine Avenue, just east of University Street. The gym was named for Sir Arthur Currie, a highly decorated general in the First World War, who went on to serve as principal of McGill from 1920 to 1933. Four years after the end of the Second World War, the building was expanded to include Memorial Hall. With its marble and terrazzo finishes, bronze doors, stained glass windows, and commemorative artwork and plaques, the Hall became the central point of the McGill community’s collective memory of the World Wars. However, as memories faded, Memorial Hall fell into a state of disrepair. McGill will also use this opportunity to add new memorials to the Hall, honouring the McGill women who made the ultimate sacrifice while serving as battlefield nurses, as well as the Canadian soldiers who lost their lives outside the two World Wars. Visitors can see the results of the Campus Planning and Development Office’s preliminary feasibility studies, along with a display about the history of war memorials at McGill, during the Memorial Hall Open House on November 12. The event will be held from 1 p.m. to 4 p.m. at 475 Pine Ave. W (east of McGill Athletics main entrance). Further studies will be conducted over the coming months, and will be released on Vimy Ridge Day, April 9, 2019.